If you are a fitness enthusiast, be it running, cycling or for that matter, just weight loss, you must read this. One of the most ignored and less spoken aspects of training is rest and recovery. Most of us fitness enthusiasts fall prey to the bug of overtraining and pay the price for the same. We forget the importance of rest and recovery and how it helps in delivering peak performance. We feel guilty about taking a day off from our training and end up overtraining. The body repairs and strengthens itself in between workouts and continuous training can actually be more harmful rather than helping one improve. Rest days are critical for an athlete and the same holds for even recreational athletes. Recovery happens around physiological aspects where your body and muscles recover from the extensive stress they have been put through and psychological recovery when your brain and mind recover from the extensive stress of the training schedule. Overtraining will result in poor performance, injuries, lethargy, and depression. There is a very famous saying ‘ you grow when you rest.’ However, one needs to understand that too little work and only rest would not help in any way. When we are training, we are basically putting a lot of strain on our muscles as well as our cardio systems. We are activating and using a few muscle groups which might never be used during our normal day to day lives. While we train, we put a strain on our muscles and these muscle fibers, in turn, undergo small micro tears. In very easy and simple terms we inflict injury to our muscles and body while we train. We also deplete the muscle energy stores, read muscle glycogen stores and undergo a lot of fluid loss. Our body takes anywhere between 24 hours to 72 hours for recovery. As your body trains and adapts, the recovery time decreases. Immediately post a hard training session the body looks to replenish the energy stores of the muscles and also reload the lost fluids. Post this it looks to start repairing the damaged tissues and muscle fibers. It also cleans and clears out the built-up lactic acid. It becomes very important that the body is fed adequate fluids, salts, carbohydrates and proteins to help it recover and rebuild. Training the same group of muscles daily would lead to overtraining and not help make any gains. The real effect of training happens during the rest phase because remember during the training, you have damaged the muscles, the recovery time is when you build those muscles. When we spend a hard day or week at training, we invariably also undergo a lot of psychological stress. An athlete might spend hours planning and working on the training strategy. We might also abstain from our social circle because we do not want to disturb our diet and sleep pattern. This might put the strongest of athletes into depression and feeling of loneliness. Rest days planned into a training week can definitely help in psychological recovery. Go out with friend’s and party or simply spend some time with our family. This one day off spent with friends and family would do great good than harm your training gains and objectives. Why is having at least one rest day a week important? One might argue that they are working out alternate muscle groups while they are training and might not require a rest day at all. However one ignores the fact that while we train we are also using and working on our cardio system which also deserves a chance at recovery. If you are training for running or cycling then a few rest days during the week become even more important. Most pro training programs work around with a rest day during the training week and some even might have rest weeks incorporated into the training program. While we train, our body adapts. Our body starts getting used to the stress we subject it to. The muscles develop, our cardio system develops and so does our neuromuscular system. Our body becomes more efficient at handling the stress. It becomes more efficient in clearing the lactic acid from the blood, it becomes more efficient in pumping blood and muscles become more efficient. It is like learning a new skill, it might seem difficult at the start but then becomes easy. One needs to continuously increase the stress to make the body work and make more adaptations. 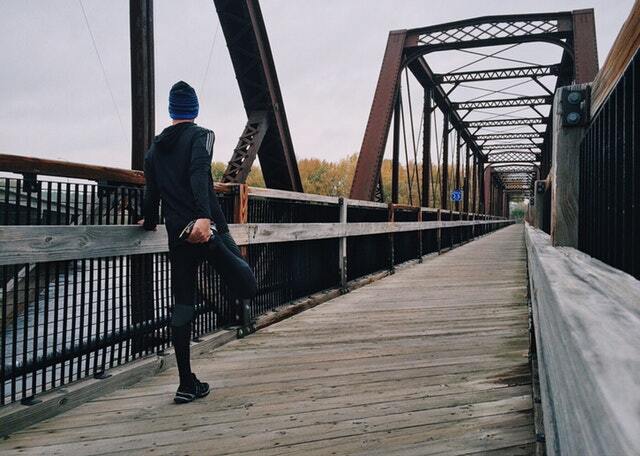 You start noticing that you stop making improvements with the same training schedule. One needs to make changes to the duration, intensity and or change the complete training program to see great gains. A great way to start off is to make progressive increments to the load, duration, intensity, and distance of your training. Just to put things to perspective, a block of concrete takes days and weeks to harden and set properly. It is given time to rest and solidify in the heat and wetness. If you do not give it enough time to dry, you will end up a foundation which is not strong enough.